How many times have you accidentally dropped your phone? 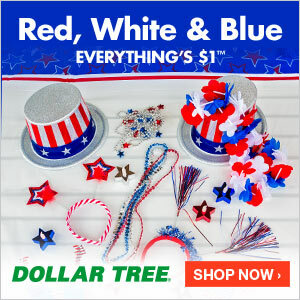 All products for this review/feature have been sent free of charge by the company. I was not offered any monetary compensation by posting my honest opinion about this product. How many times have you tried to take the perfect "selfie" only to find that you couldn't quite keep your phone steady in your hand? I've dropped and broken a few phones...sadly! It's the worst! It's a costly accident and some days I wish I could find an easy, simple solution to provide my phone added security, without all the added BULK of a accident proof case. We received a new product that not only will make us less "accident prone", but also help the phone be more user friendly too. 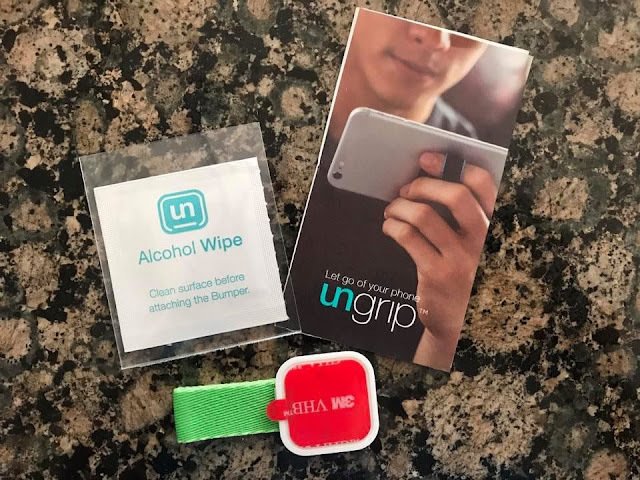 It's time to UNGRIP your phone with UnGrip! 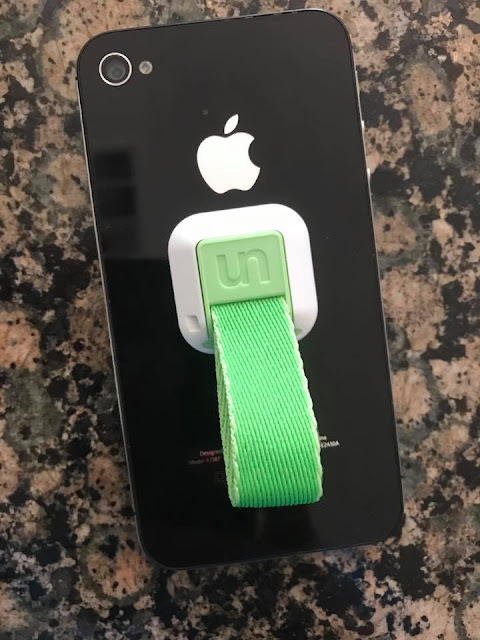 This easy to install product (seriously takes only a few seconds to install) adds a simple, secure loop to the back of your phone, to give you security when you are watching a video, taking a picture, checking e-mails or texting your friend. This mommy is paranoid with phones in this house. iPhones are not cheap to fix or replace when they are broken! Typically the phones in our house are in bulky security cases, because the last thing we want is a broke phone (hey, phones aren't cheap) and a crying child (or mommy) because their phone is broke. 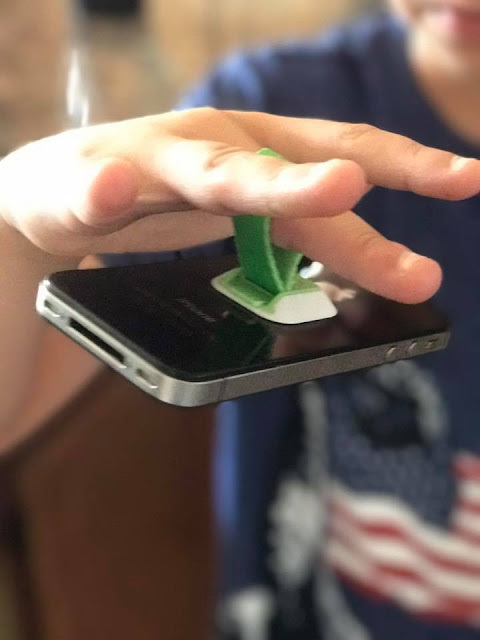 Our youngest has a iPhone that his brother gifted him (when he got his REAL phone) and he was totally game to have the UnGrip installed. Because the case he had on his phone is rubber, we had to take it off to install the UnGrip! He loves it & his mommy does too! 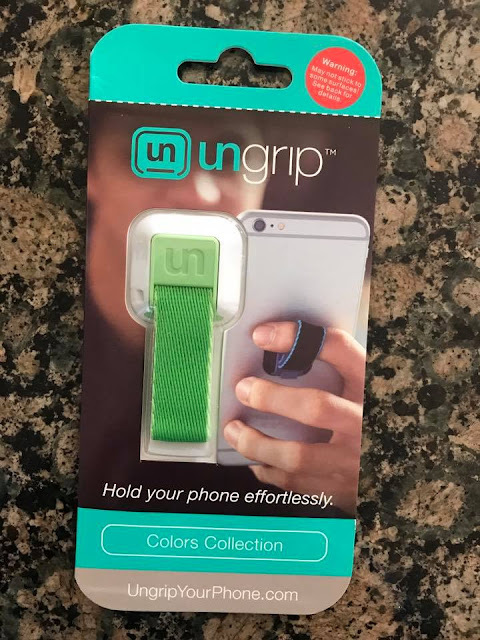 The UnGrip comes in a variety of colors and can be used on phones of most shapes and sizes, and even to some cases as well (for added protection if you'd like). 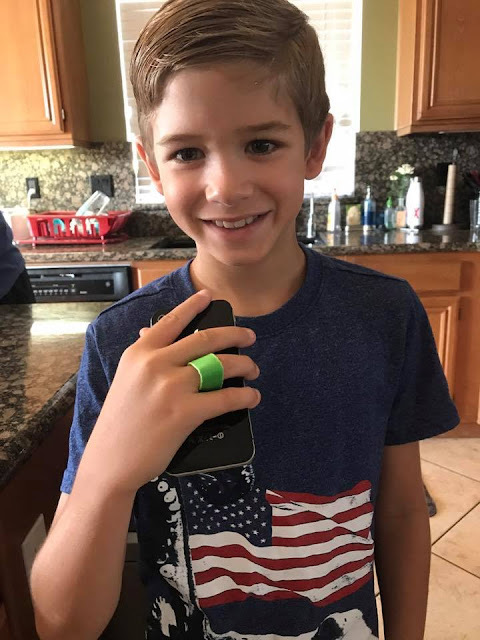 CLICK HERE to learn more about the UnGrip and maybe this could be a stocking stuffer for your kids this Christmas? You'll have more secured phones and your kids will be taking selfies with ease!